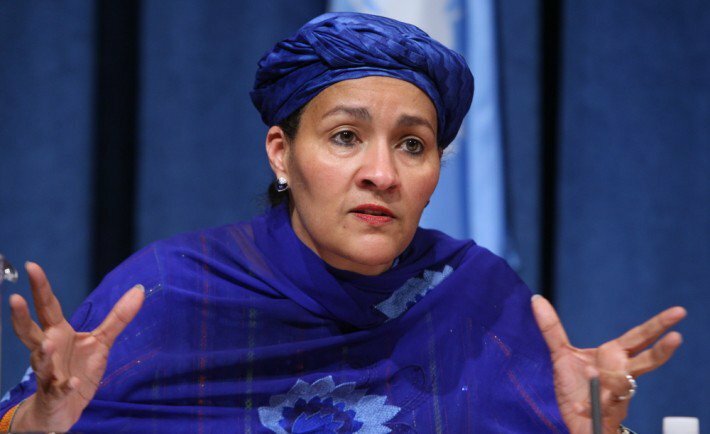 UN Deputy Secretary-General, Amina Mohammed, has disclosed that there are 37 career openings for young Nigerians in the world body. Mohammed disclosed this, weekend, at a Cultural Night organised by Nigerians working at the United Nations Systems. She said the openings are available via the Junior Professional Officers’ Programme, including internship for young graduates. The JPO programme provides young professionals with hands-on experience in multilateral technical co-operation, and is one of the best ways to gain entry level positions within the UN system. JPOs are sponsored by their own government, which fund their placement in one of a range of UN organisations. “Whenever there are opportunities, try and pave the way for the young ones; you are getting old and we want to see the young ones in the system”, she said referring to older Nigerians. According to Mohammed, the Nigerian employees at the UN system are getting old and there is the need for the Nigerian youth to be allowed to come into the system. She said: “Home really does need us; there are leaders and we are trying with the professionals that we see in the United Nations. "And it’s really important that we remember, with what we do here, what we can get back home, that we can encourage those at home, and inspire them. The UN too official further condemned what she termed alarming gender-based violence in Nigeria, saying it has increased in dimensions that one could never imagine. She said: “When I look back home and I see that there are women that are coming back from Boko Haram captivity, they come back with a type of violence that many, for the rest of their lives, can’t recover from. “But I also see that what is worse is the kind of violence that is visited upon the young girl. “She is indoctrinated and convinced to tie a bomb around her and blow it off; that’s violence against girls; that’s violence against women.